Spring time is upon us and this is always the driest time of the year. Our winters in Central Florida over the past several years have provided us with shorter days, cooler weather and we have been seeing more rain then usual. Then we transition from that to longer days, warmer temperatures and typically drier weather. This is a big change for your grass from one season to the next and you have to help your lawn out. 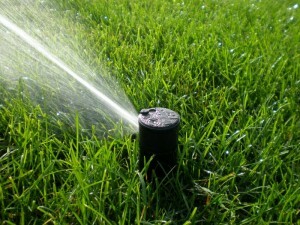 In winter you may not have to water your lawn much at all but its the opposite in spring. Please help your St. Augustine grass out with a smooth transition into spring by setting up your irrigation timers to water. If possible, its best to water twice a week for 30 -45 minutes a zone. You can check out our site for local watering restrictions and get started today..